Learning to work side-by-side with a beautiful, yet powerful animal inevitably develops empowerment and self-confidence. 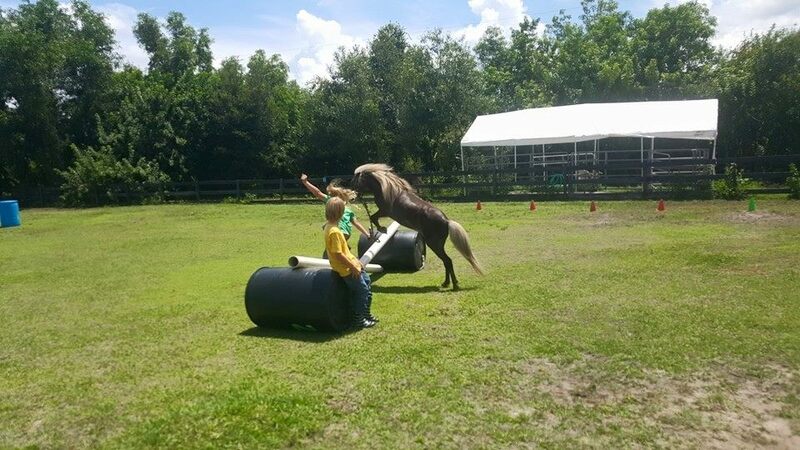 During EAL sessions, participants learn horsemanship skills and participate in activities with their equine partners to build respectful relationships, positive communication and learn to work effectively in a team while working through obstacle courses and other challenging activities. The EAL program like EAP touches on many of the aspects of respect, boundaries, relationships, socialization and behavioral patterns. 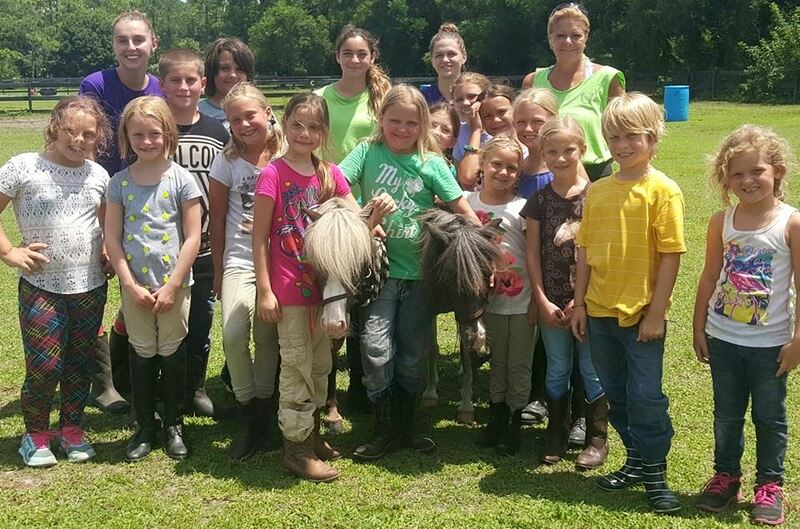 This program is faciliated by an Equine Professional trained in EAP. 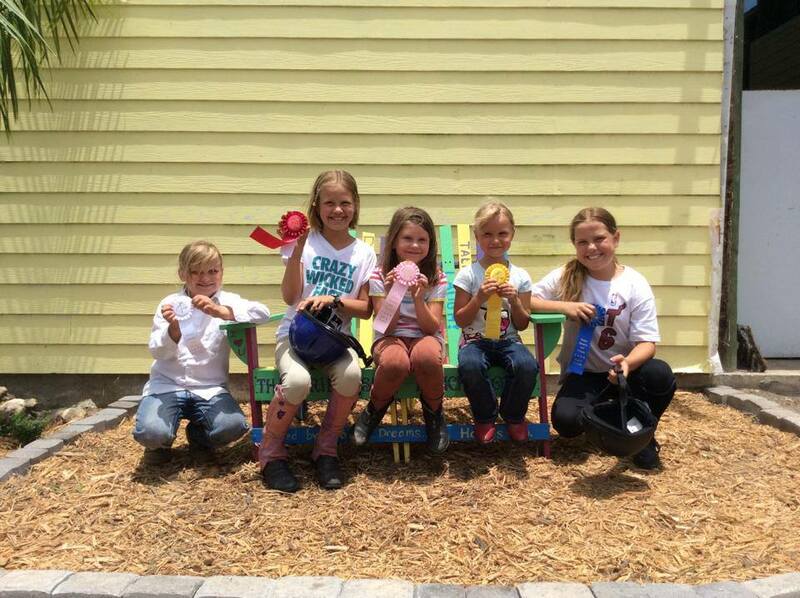 The girls showing off their ribbons on the friendship bench. 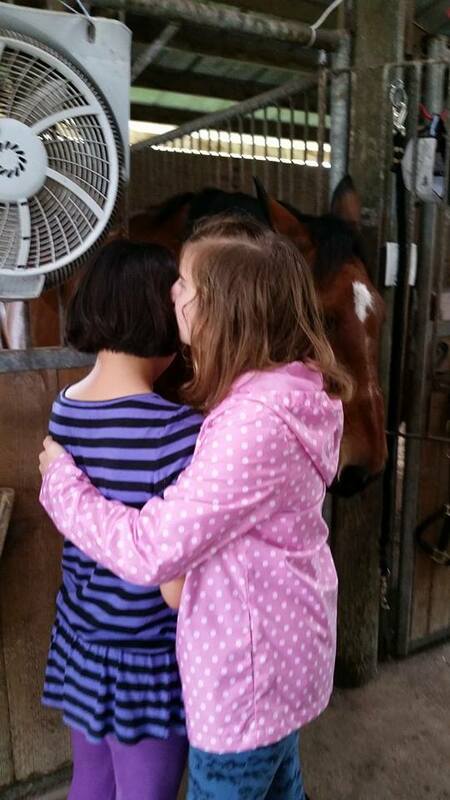 Everyone is a winner at our farm!